We want to continue to see more companies and communities celebrating National Garbage Man Day every year. 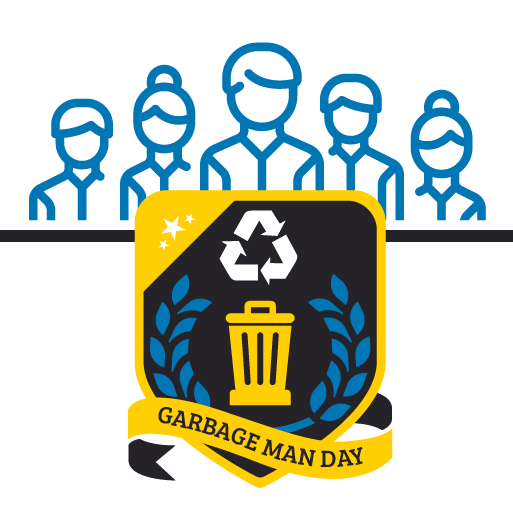 To help get your celebration started, we are providing these National Garbage Man Day graphics for you to download and use for FREE. These graphics can be used on shirts, flyers, announcements and other promotional materials or giveaway items. Did you order shirts for the whole company? Hang a banner on Main Street? Be sure to share your stories and photos with us on Facebook and Twitter using #GarbageManDay.